It is a user-friendly calendar, address. It is a user-friendly calendar, address, and reminder program that can be accessed quickly from the windows system tray. You can create almost unlimited notes, enter repetitive tasks, create to do lists, and set alarms. It also has a practical fiscal week or month picture display. 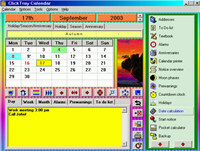 Click Tray Calendar is a business program that works under windows xp, . It is Free so you can download it and share it with your friends. Estimated download time for Click Tray Calendar on a common adsl connection is less than a minute. 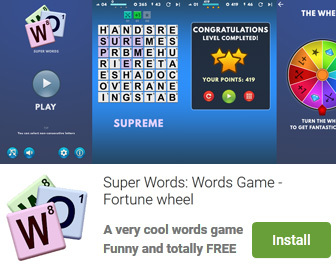 Version 2.58 was released five thousand one hundred forty two days ago by FreeShareware. Click the green download button to download it now.